Tonight I had the opportunity to go out for a ride testing out the new Brim Brothers power meter, Zone, which is mounted into the Speedplay cleat baseplate that’s attached to your cycling shoes. 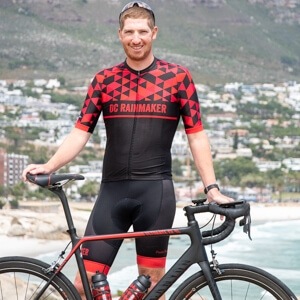 The Brim Brothers Zone has long been of interest to many in the cycling world, as it would make moving your power meter from bike to bike as simple as walking from bike to bike. I happened to have work meetings that took me to Dublin (Ireland) for two days, and thus got in contact with the team at Brim Brothers to see if we could arrange a test ride. While they aren’t quite ready to have me with test units day to day yet, but they did give me as much time as I wanted tonight to wander around on my own and ride with the Zone system. Squeezed in between other meetings I had in the evening, I got out and got a nice hour ride with Zone, plus a bit of testing in an industrial park beforehand to ensure I understood everything. I was glad that they were fine letting me use my own ANT+ recording devices (a Garmin Edge 800 and Garmin Edge 500) to record the data streams from the power meter, which I’ve included below (and raw files at the end). They supplied the bike, and shoes pre-configured. 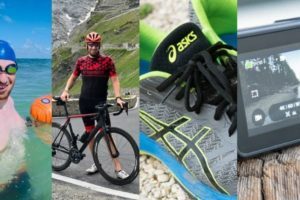 They were good to have me use my cycling shoes, but given the tight timeframes of my schedule, we decided to let them go ahead and have me use a pair of theirs validated and setup upon my arrival. The Zone power meter is cleat based, which is different than pedal based. As you probably know, the cleat is the piece that stays on your cycling shoe, whereas the pedal is the piece that remains on your bike. At present, they are utilizing a Speedplay system for the design. Down the road they’ll tackle other pedal/cleat types, but for now their focus is on the Speedplay units. The entire system is divided into two sets of components. 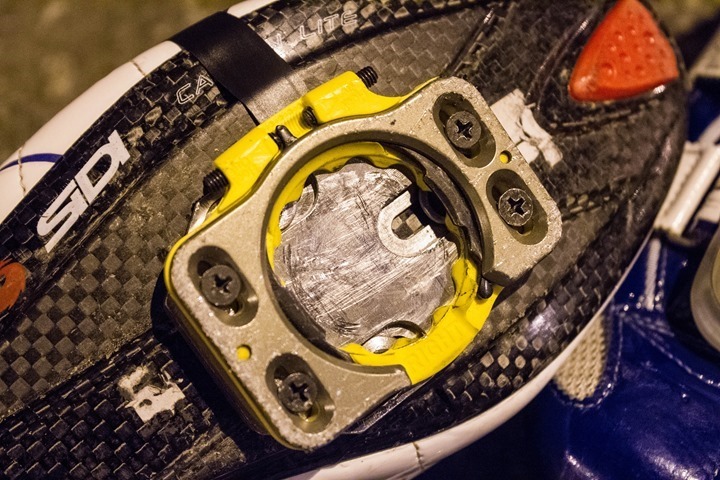 First is the cleat itself, which is where the core of the power meter system is. It’s here that the stresses are measured, ultimately giving you wattage. This is then transmitted via a flat wire to the transmitter pod, which is located on the top of the shoe. It should be noted that the transmitter pod seen here is a prototype, and won’t be clear in the final version and may change shape slightly. In addition, on this particular shoe, the wire is slightly longer than normal and thus wrapped on itself. Normally that’s not the case. The flat wire you see on the side has been a bone of contention for many watching the progress of the power meter, with concerns about it potentially being sheared off. Over the past couple years I’ve seen a fair bit of progress in their design, to the point that this wire really is almost completely flush against the shoe. Sorta like that fancy speaker wire you can put on your walls and paint over and be invisible. That’s not to say that you couldn’t still find a way to rip it off, but at no point during tonight’s ride did I worry about it. Given that the wire is on the outside of the shoe, it’s probably in a less vulnerable place than the inside (which could brush up against the frame). That said, their goal is that the wire is both flush enough, and well sealed enough against the shoe that it could take a brush against the sidewalk curb without any issue. Back to the pods. The pods are rechargeable (one for each shoe), and simply snap in and out of the base that remains on your shoe. They get about 15 hours of battery life on them. So basically, when you go and charge your GPS unit, just charge your pedal pods too. Note that today the pods are technically interchangeable, though, they are specifically set/intended to be Left and Right. Meaning, the left one is labeled left, and the right one labeled right – and thus, you’d place them in their corresponding slot. Though, as I found out tonight – they’ll happily hang out in whichever home you put them in (with the prototype units). I noticed that a bit into the ride the pods had been put into the wrong slots – so that left was right, and right was left. Not a huge deal for me tonight, and something they’re planning to ensure just takes care of itself (aside from me simply reading the labels). With the basics covered, let’s get onto the ride. As noted before, I had about an hour to wander. They were fine with me going longer, but I had meetings following it I had to get back to. For my wanderings, I started off in an office park area, and then headed out into a bit more of the suburbs. Once beyond the initial traffic, I was more or less nonstop. Up and down hills, and generally enjoying all that Dublin had to offer for a rather cold night ride away from traffic. From a head unit perspective, a smaller number of head units support pedal balance. Today, that’s limited to the Garmin Edge 500, Garmin Edge 800, Garmin FR910XT, and the CycleOps Joule GPS. I’m not aware of any others that support left/right today. Today there are no ANT+ compatible units on the market yet that actually transmit true measured left/right power. Those that will transmit true measured left/right power include the Brim Brothers Zone, the Garmin Vector, and the ROTOR 3D power meter. 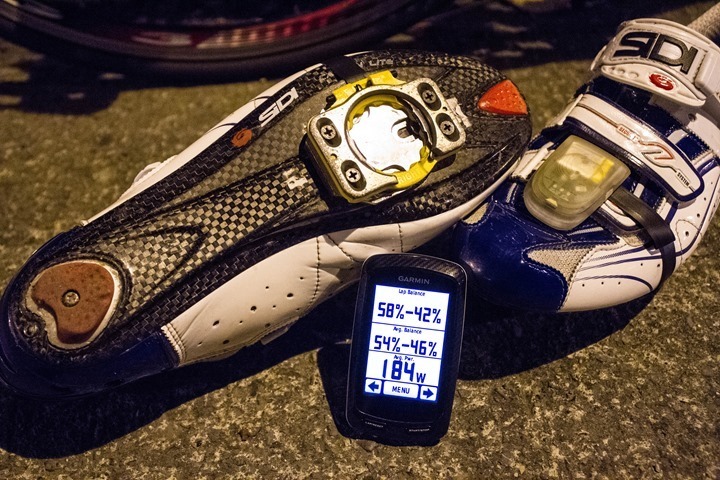 This is notably different than the newer 2012 power meters that transmit calculated left/right power, such as the newer SRAM Quarq Cinqo’s and the post-September 2012 Power2Max units. Those two units utilize stroke segmentation to attempt to determine the leg driving the stroke, versus measuring it in two places. This is easily tricked by simple single-leg pedaling. Finally, at the power meter level, the data is transmitted with two pieces to the head unit. The total power is transmitted, along with the right % power. From there, simple math can be done to determine actual values. All ANT+ units work this way. The only non-ANT+ unit that measures left/right power today is the Polar/Look Keo Power System, which does so over W.I.N.D. (not Bluetooth or Bluetooth Smart). The Polar/Look Keo system measures it at the pedal. Ok, back to the Brim Brothers Zone and my percentage numbers. Lacking any way to back up the power balances technically, there’s no way I could discern something like 52% versus 57%. That said, I can (and did) do slow shifts in left/right balance in my stroke, and could easily see it shift balance across the two sides. Like shifting sands in an hourglass. A far more clear test of this is simply one-legged pedaling. In this scenario, I would completely detach one cleat from the pedal (just hold to side), and remain pedaling with the other leg. In doing so, you should see the power go to 100% – 0%, which is what I saw. I did notice one brief split-second reading of 97/3, which is probably why it’s not quite a perfect 100%. In addition to left/right tests, I did some random intervals up some climbs as I found them. Take Interval 6 for example, which was a steady-state push up a hill. IN this case, I think the 319w average was probably fairly accurate, as was the balance at slightly off-center at 58.6%. But I wouldn’t agree with the 1,303w max. Going to something a bit more generic, here’s what the ride file looked like for the ride itself. You can see that for the segments where I was uninterrupted, the data is actually pretty smooth and clean (such as from around 19 minutes to 26 minutes – a climb as you can see on the graph below. Ideally, I would have had more time, and be in a more controlled environment – as variations become far more instantly visible on something like a trainer. Of course, as you can easily see the data’s not yet perfect. It’s not a finished product, and thus there are bugs. As Barry Redmond (one of the Brim Brother founders) noted to me tonight – “If it was perfect, we’d be selling it today.” Which is a fitting and appropriate comment for not only the Zone power meter, but many other promised power meters for the upcoming 2013 season – including the Garmin Vector, Stages Power Meter, ROTOR power meter and numerous others. Ultimately, I have no doubts that all of these products will come to market, and do so with satisfactory accuracy and reliability. 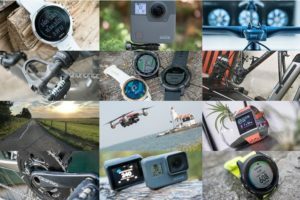 None of these companies are any different than Polar/Look in their ability to bring this technology to market. All of them face the same challenge though of solving those last final nagging bugs. If we look at the Zone ride file, there were some bugs I saw. For example if I stopped pedaling, it shifts the pedal balance to be 100% to the right unit. 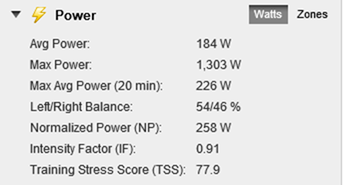 While power wattage correctly shows 0w, the balance shows 100/0. Obviously, this is a relatively trivial item to fix in the grand scheme of things (statement: If 0w then pedal balance = null), but it is indicative that they aren’t 100% there yet. Additionally, I felt that the power readings seemed high in general to me. The unit does support calibration (which was done), but the readings still seemed to trend a bit high. There were also two unexplained spikes. At one point it listed my maximum recorded power point at 1,303W – which was likely about 400-500w higher than reality for this ride. Looking at the detail of that one second in time, you can see a strange drop, followed by a spike in cadence corresponding to the spike in power. During steady state efforts the power values were clean however (even if they felt skewed high), as you can see in the above graphs a bit higher. Which is better than being choppy or highly variable. Of course, I didn’t have another direct force power meter on the bike to gauge whether or not my guesstimate on being high was accurate or not. With everything said, what were my key takeaways from tonight on a prototype unit? 1) It’s not perfect, but it does seem to be generally stable while riding. There weren’t any obvious dropouts (minus the two one-second spikes noted), nor complete weirdness in balance during steady-state riding. The balance appeared and felt accurate once pedaling. 2) There are some cleanup bugs around balance transmissions (i.e. left/right) where 0w faults to 100% right. 3) As a whole, the system is silly easy to use. Turn it on, and off you go onto any bike. 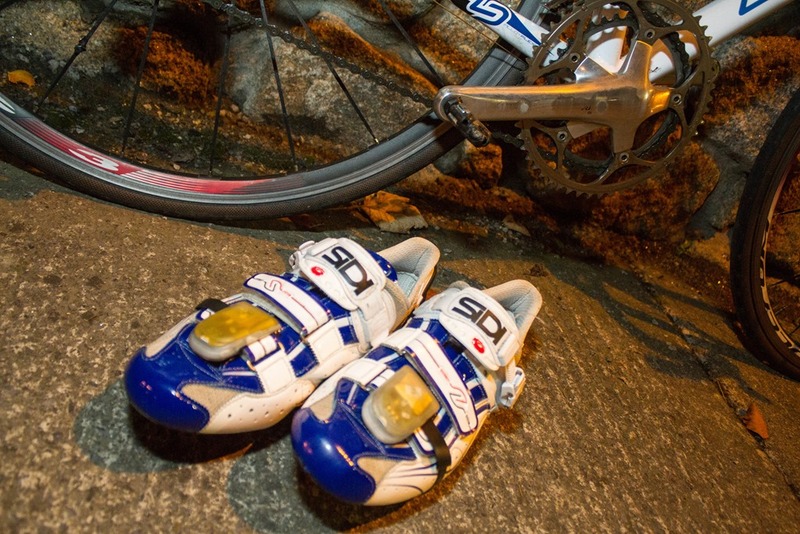 There’s nothing different about this bike, it’s just standard Speedplay pedals. 4) It simply pairs up with ANT+ like any other power meter. 4) As noted above, in general, some of the wattages seemed to trend a bit high based on my gut feeling. 4) I’m not as concerned about the side connection wire as I thought I’d be. But I reserve my judgment until I’ve had some time with the unit in day to day conditions. Of course, this is merely a point in time. A single ride. Nothing more, nothing less. At some point, I’m sure they’ll send over a unit to test longer term. At present, they don’t yet have a definitive publically releasable timeframe or price, though they are getting closer on the release side. Many folks ask if they should ‘wait’ for the Zone – or the Vector, or the Rotor, or any other fill in the blank power meter. And my answer is largely the same each time. If you need a power meter today, go out and get a power meter today. If you feel like you can wait – then consider waiting. In general, I think we’ll see far more units on the market this spring, than we have on shelves today. But that also means many more months of waiting and lost time training with a power meter. And, the same will be true in the spring, when we look towards the fall and find yet another batch of units either being readied or prepared for announcement at the likes of Eurobike and Interbike. As always, if you have any questions, feel free to drop them below. 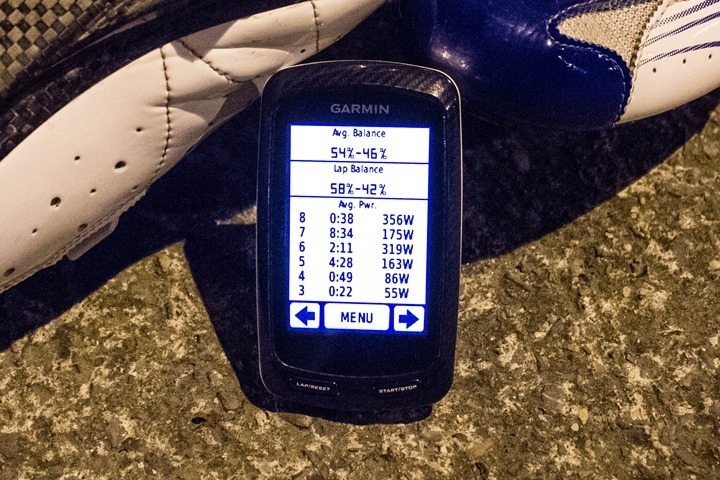 Note: My full Garmin Edge 800 file is viewable on Garmin Connect here (and downloadable). Please do remember the notes above regarding the bugs around power balance. Additionally, don’t overthink some of the data in low-speed situation, as I was literally dodging and weaving rush-hour traffic. Thus, with one pedal clipped in, and one clipped out, data may look inconsistent during those first 10-15 minutes. And here’s the PowerCal file for fun. Thanks for posting this review. 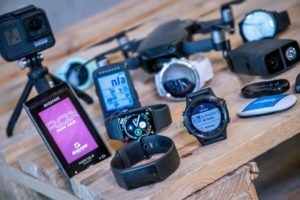 I gave up on the Garmin Vector (metrigear) when they switched away from SpeedPlay. I can’t wait to see these on the market. Nothing yet released. They do plan to be “competitive” in the category, but it’s unclear which end of the range that means (i.e. Vector is $1,500US, whereas Polar/Look is $2,200US). Additionally, they could mean the larger PM category, which puts it anywhere between $700 and $3,000. If these wind up being less than a Powertap, I can see them being very popular. Thanks for the review/early look at these. Love that they chose Speedplay too. When you look as closely at the data from powertap or other power meters, do you also see similar random spikes for a second or two? If not, do you think this is due to the meter being on the cleat/pedal? When the bike bounces, or you twist your foot on the pedal, I can see there being spikes that you would not see on a hub or crank. Generally no. At least, I shouldn’t. There’s certainly been cases in history where power meters have had dropout/spiking issues (early Quarq units comes to mind). But those are generally fixed quickly (either in software or hardware). Again, I don’t think this is a trending issue at this point, as two data points don’t make that. It’s merely a one-off. And I don’t see it being tied to twisting the foot into the cleat, as the spikes occurred in a relatively steady-state climb – and not at any point when I had clipped into/out of the unit (which I did a TON, especially at the beginning). Thanks for the pricing, 1500 or more is just crazy as any racer on a team can get the sram s950 or red in that range! If they hit the 699 or under of stages they could flood the market!!! Would his not be better than a quarq? 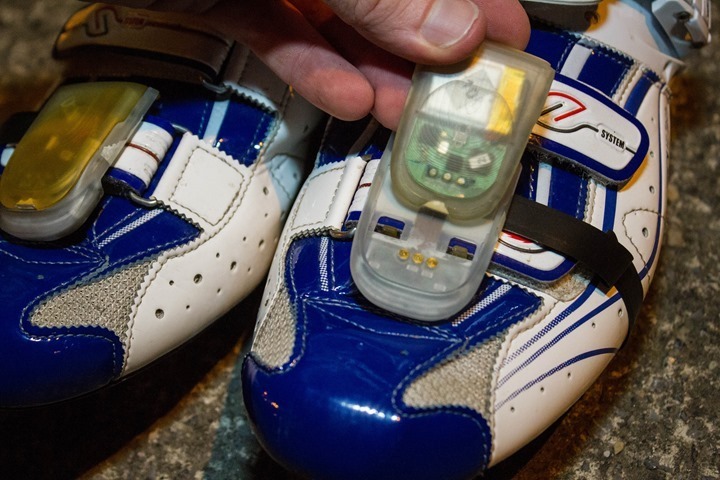 You get actual right left power balance at a lower weight that can be used on any bike by simply using your shoes (and some speedplay pedals). You can chain chainrings as much as you want as well. Interesting. I wonder if there is a difference between power at the cleat and useful power actually applied to produce forward motion. I’d imagine that there may be ways to maximize the cleat power without maximizing the power transfer. tweaking or twisting of your foot in the cleat? Pushing against the other foot? I dunno. Seems sketchy to me. Will stick with my powertap for the time being. Seems to work just fine. Eli: When you stand on pedals without providing propulsive torque the average force in the propulsive direction is zero. The feet may be applying opposite torques, fighting each other, but net propulsive torque will be zero. This would be the situation if you stand with the pedals @ 3 and 9 o’clock. With pedals at 12 and 6 o’clock the force would be perpendicular to the propulsive direction. So direction is key. It measures cadence. I had no other ANT+ sensors on the bike, and you can see the cadence measurements coming through. The principal challenge I see for Brim Brothers is the need to differentiate between total force and propulsive force. Total force may be pushing in any direction, while propulsive force is only in the direction of rotation of the pedal. Note the pedal-based systems “know” the propulsive direction; for example Polar requires careful alignment, as you have documented, and I don’t know what Garmin does but at least the propulsive force changes only when the pedal is tightened or loosed, so is fairly constant. But with a cleat, the propulsive direction is constantly changing throughout the pedal stroke. To me, how well they deal with this is a primary limiter on accuracy: it would be very easy for them to expose themselves to systematic over-estimation of propulsive torque. Such errors could be calibrated out only if the pedal stroke were always equivalent, but of course it is not. So perhaps I am somewhat less optimistic than you about their ability to “iron out the final bugs”. But I’m cheering them on, because the product is certainly very cool. djconnel: You are right about needing to know not just the force applied to the pedal, but the speed and direction of motion, in order to derive power. 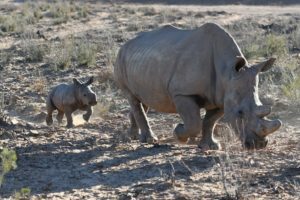 Although it isn’t mentioned in the article, it can be concluded that they are measuring the speed and direction with accelerometers somewhere within the unit. There must be at least two orthogonal accelerameters to derive the speed and direction of motion. The fact that it the unit can generate a cadence output would seem to prove this conclusion. While speed could be calculated by integrating accelerations, I suspect that they are more likely calculating the rate of change in direction (i.e. rotational velocity or cadence) and multiplying by the (fixed) crank length. The cross product of instantaneous direction of motion and the force vector (a little linear algebra?) would then be used to determine the portion of the force magnitude actually producing power. There is obviously a lot more math and calculation involved to implement a pedal based power meter as compared to a hub or crank based meter, but with the right math applied to the right sensor data it can be done. Mark: I think your analysis directly applies only on a trainer. When the bike itself is accelerating, things get gnarly. I’m going to guess they try to calibrate themselves around the problem. No comments on how atrocious these look? Price would have to be around $200 for many to even consider. They may be the most accurate PMs on the market but who is gonna put these things on their $300 shoes? And the wire? And Ray, a pic with the bike in the little ring? Keep in mind as notes above that the external pod shown isn’t the final one. For example, this was clear to be able to easily monitor the electronics, whereas the final ones are black (see previous posts on it in the related posts area). I would also take a guess that their target market isn’t folks who are spending $300 on cycling shoes. As for little ring, my bad, the point all these photos were taken was at the brightest point I could find anywhere on my route, which happened to be at the top of rather long climb. Did you spend $300 on the shoes because of how they performed or how they looked? I’d be in the market for any power meter that works, is practical to set up and switch configurations, and reasonably affordable. A $2,000 power meter is a lot of coin for one additional metric and out of the question for the majority. @Ray, yea I saw above yes this isn’t their final cut. Who cares. Clear vs black? It’s still an ugly pod on top of your shoes. I know you want to kill them but just can’t. It’s ok.
As for everyone else, yes if priced appropriately I’m sure it could sell. But I just don’t see it happening. Who is showing up to their group ride with this albatross on their shoes? It’s an embarrassment. I don’t own a power meter and wont pretend to know how they work, but could the slight increase in overall displayed power be because the actual measurement devices are closer to the power source? What I mean is: in the power tap system, your power has to go through your cleats, then your pedals, then the crank, then the chain, then the cassette, and then it finally gets to the hub. So logically some power would be lost along the way? 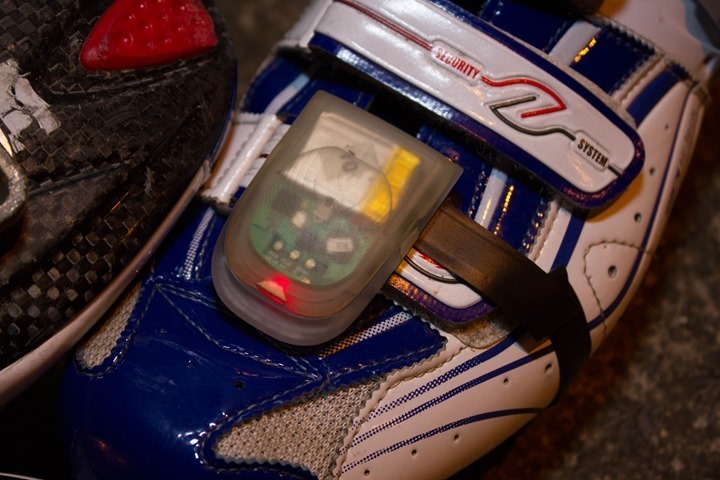 The data the cleat based system is giving you could be more accurate because there is less power lost along the way to the measuring system, because the actual measuring device is closer to the power source. 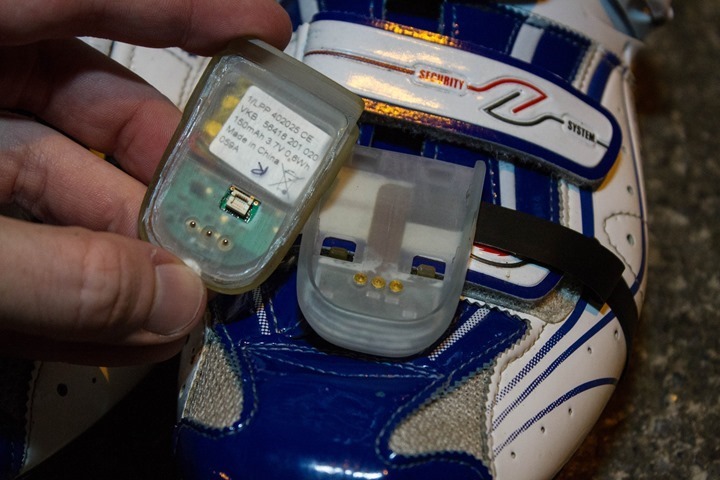 That being said, using my completely unverified logic, an insole based power meter that has sensors in the insole of your shoe would be the most accurate? What do you think? Yes, this is why PowerTaps generally are 5-8W less than a crank based system. The important thing here is that it is precise from measurement to measurement, not exactly accurate. If I do a climb at 308W on my PowerTap twice, I want it to display 300W both times, not 315W once and 290W another time. 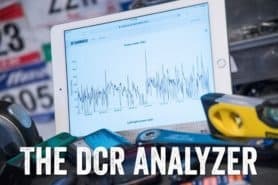 So what does this left/right balance mean for the Stages power meter? It seems they are basing everything on an even 50/50 split since they are saying it will only measure the left side, but appears that assuming a 50/50 split might not apply to everyone. I suppose if your balance is typically the same then it will be accurate to yourself and to measure progress. They don’t have to use the metric, it’s just one available to them. I don’t expect them to use the metric – but I can double-check. I don’t know if you’re still there but could you test these in the rain? I wonder (even these test ones) how well they work in water/bad conditions. 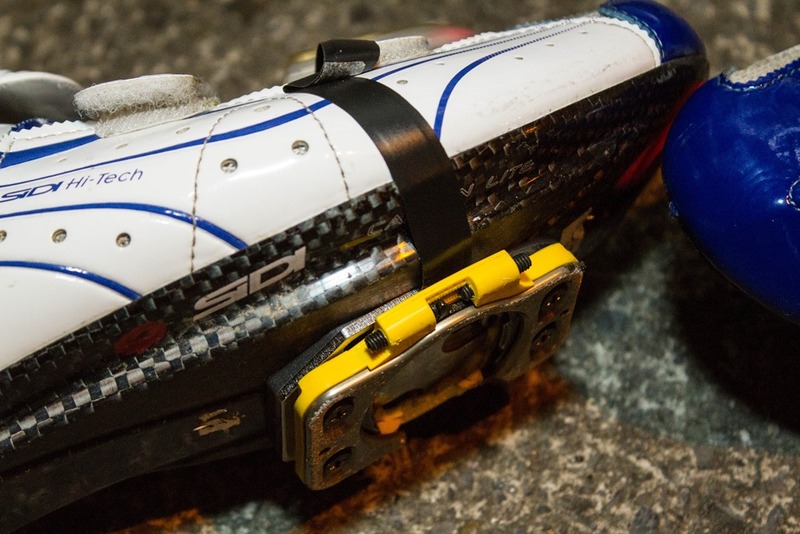 Also, could you test them while going over very bumpy terrain where your cleats rattle in the pedals? I wonder if it correctly accounts for pressure from rattling due to bumps as opposed to actually exerting pressure. I lucked out with no rain – but they’ve commented before that rain isn’t an issue. They address it on their FAQ on their site by poking fun at folks for asking, noting that “It’s Ireland after all”. The units are normally fully encased. This particular unit has a development connector on the bottom – hence the hole you see. As for the terrain, I had plenty of rough roads that I went over. I didn’t see anything obvious from any sort of spiking corresponding with them. But at the same time, I wasn’t looking for such a pattern either on that ride. What about people that use the Speedplay extender plates? I use the extender plates because I like the cleat position about 1cm farther back than the standard cleat allows. Will Brim Bro’s have an extended baseplate version? If not, it would be a deal breaker for me. “We have not tested with shims such the Bikefit ones, but technically we see no reason why it shouldn’t work. We plan to carry out tests when we get closer to launch. I don’t think Rainmaker understood your question. Speedplay makes an “extended” version of the Speedplay zero baseplate. It’s still speedplay zero but the plate is longer and allows for more fore/aft cleat position (I have size 45-46 feet and need the cleats to be further back..this does that). link to competitivecyclist.com (speedplay’s site wasn’t loading well so I’m using an alternative link). Like Todd said, if we can’t use it in our current finely tuned cleat position, we can’t use it. Hopefully the device can incorportate this issue. How accurate is this power meter over say Power Taps that are built into the hub? I’m looking at purchasing a power meter for my IM training, and I’m doing my research first. Also, how much does this cost? 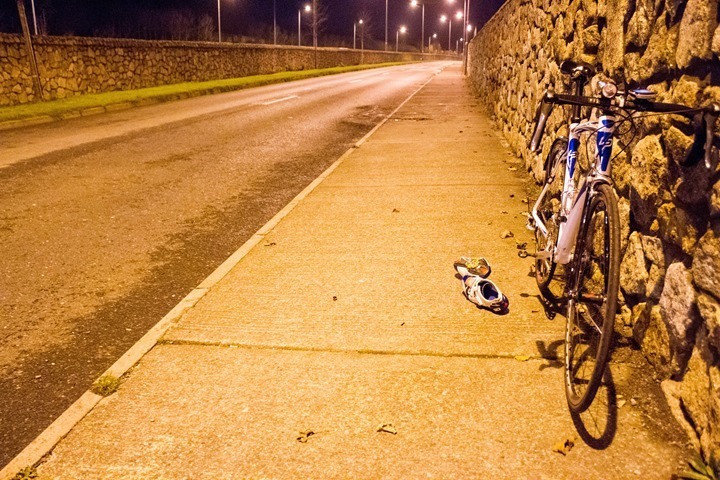 Assuming you’re doing an IM next year – going with the PT is the best bet. It’s available today, and can help you train. The Zone won’t be available for a while, likely not before Interbike 2013 (September). Accuracy remains to be seen, though I’d guess that in the end they’ll be equivalent in accuracy. Cost is TBD for this unit, whereas the PT is a known cost. You mentioned that the power read a bit higher than you thought it would be. I don’t know what the ratio would be, but it is reasonable that the power reading at the cleat would be higher than when measured further down the drive train, due to the mechanical losses. I think it could easily be a more than few percent. Nah, in this particular case it was significantly higher in some cases, well into the double-digits (sometimes it felt 40-50w). But I do definitely understand your line of thinking. Thanks for the review. Its great to have another entry into the mix and I’ll be keeping my eye on it. 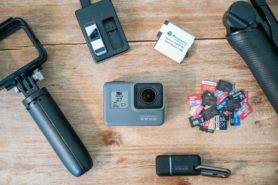 Pretty interesting and they sound pretty effective, so with the right price point, they are going to have a niche, no doubt about it. They are ANT+, which in my mind gives them one edge over the LOOK/Polar solution, and they do measure left/right, which is an edge over Quarq/Rotor/SRM. 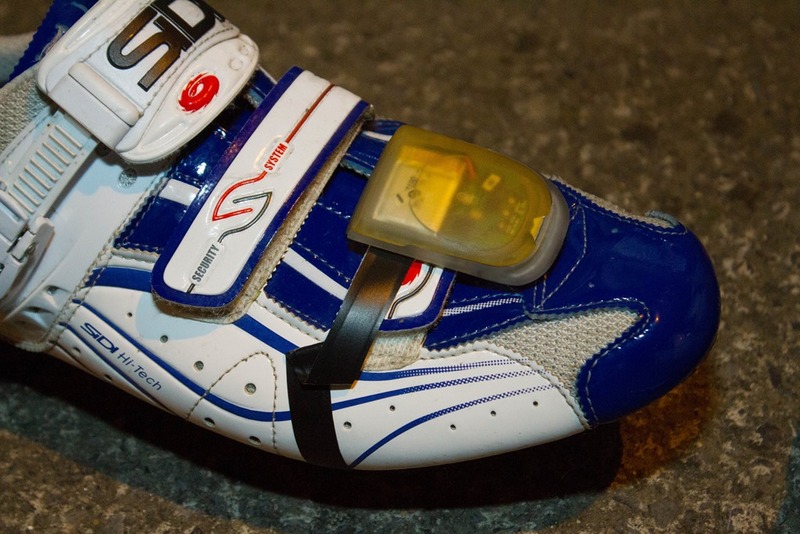 They are also more accurate than Powertap and seem to be a pretty light solution. That said, I agree that they kind of look unsightly. Even though I know they aren’t the final release (maybe you can get different color pods to match your shoes, for example), I’d hesitate on getting them myself. I don’t really care for the look and I find myself wondering how well sensitive and expensive hardware is going to hold up in a cleat interface. I know my pedals tend to get worn eventually. I also ride LOOK pedals. I wouldn’t wish to switch to Speedplay, personally. Could be a factor for some. I’m also not sure I really need left/right power measurements. I have enough data to consider and am reasonably assured my left/right power is within acceptible variance that I’m not sure I’d care to track it honestly. Given that, I’d buy another Quarq/Rotor power meter unless this solution fell down in the Powertap price range, or lower, and even then I’d have to overcome my dislike of the look (which I admit is subjective and silly, but hey, that’s part of it too, albeit a small part) and switch pedal brands. Anyhow, its very promising. Despite some of my subjective dislikes, its going to go over well with some as its plusses and minuses differ than those of the competitors – so it has the space in the market. Price will determine success though. I’m actually surprised that no one has mentioned this, but I would imagine that eventually these could be built into shoes with the pod attaching to the heel. Which shoe manufacturer will jump on this? Sorry to sound so negative, but these are potentially never coming out haha. First advertised in 2011. Early 2013 supposed release date. Hold, hold, asked mid 2013 when they would be released, informed September 2013, asked December 2013 for updates, said early 2014, asked 14th January, said mid 2014. 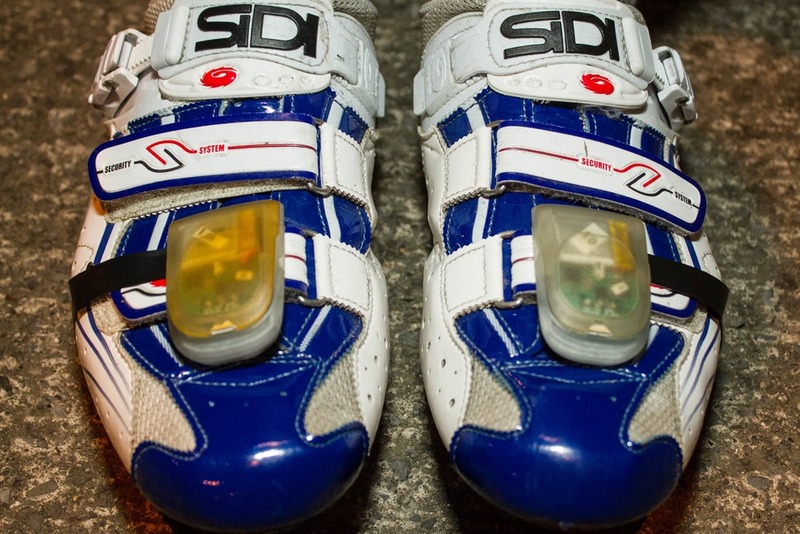 A power meter attached to the shoes?? I know myself and they won’t last a day on my shoes. The plastic cases on the top would get smashed in no time. And the cable connecting them to the bottom of the shoes seems so week that could get ripped off at the first scratch against a branch or anything. Not to be negative but this wouldn’t last on my feet. I too would be skeptical about the plastic casing … any cracks on it and say goodbye to the waterprooth. Also they seem to have a very cheap slide in slide out mechanism. That doesn’t seem very secure. I wonder how long it would take before the thing slides off while cycling and gets lost. Not a fan of cheap plastic designs. These are supposed to be a few months away now – have you heard anything about when you expect a review set? It’d be a shame if the pre-order opportunity came up before you’d got your hands on the finished version. Seems like these are finally going to make an appearance at Interbike this year. I’m sure you are bombarded with requests to check something out and realise that your time is limited but it would be great if you can follow this preview up. I’ve been reading your review of the stages power meters today but in the back of my mind I kept thinking power measurements should be coming from our feet (think that’s because I’ve been looking at the run scribe over the last few days). And when you do review don’t focus on the negative all the time eh. 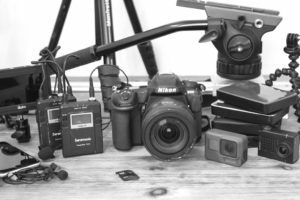 Things like power readings being high…compared to what? No power meter is set in stone and the power you get from any given product is the power you get. It only ever becomes a problem if you start comparing power against other meters, but if you’re only using one then that’s all that matters. When I review power meters, I’m doing so with usually 4-6 other power meters concurrently (on the same bike). There will always be slight differences in power output from different power meters due to placement and efficiency in measuring at that location (i.e. a pedal power meter will always read higher than a PowerTap due to drivetrain loss). However, it is indeed important that a power meter is accuracy, unless you plan to ride that specific power meter forever.